In Muay Thai Fighter we get to see what happens when a middle-aged ex-drug decides to learn the toughest fighting art in the world. 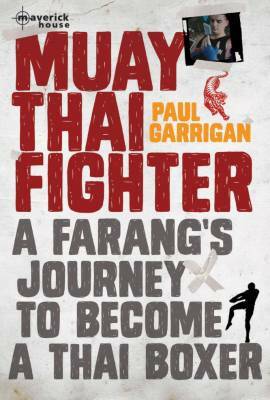 Paul Garrigan is not a typical fighter. As a child he dreamed of imitating his hero Bruce Lee, he even practiced Kung Fu but never got past his fear of being hit in the face. By the time he reached his 20s, the only fighting he was doing involved a battle with alcoholism. Garrigan turned from a ten stone weakling in his teens to an overweight alcoholic in his thirties, but the desire to practice a martial art never left him. He ended up living in Thailand where the fiercest of all martial arts is practiced – Muay Thai.